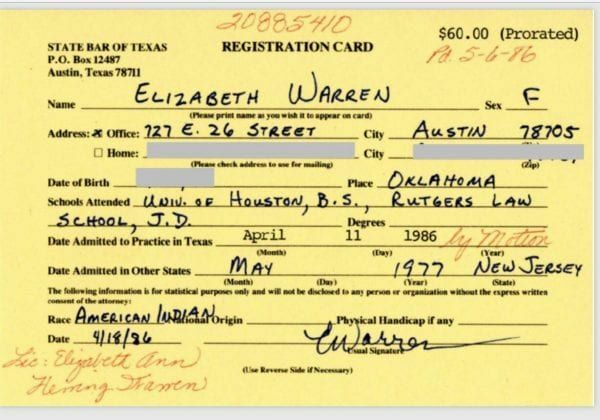 LIZ’S LIES: Senator Warren claimed that she listed herself in the minority section of the law school professor directory because she wanted to meet other professors with Native American heritage. That was a lie, because the directory didn’t specify that she is Native American, just a member of an unspecified “minority” group. She also claimed that she never tried to use Native American heritage for career advantage. Another lie; Harvard boasted when it hired her that it hired a “woman of color,” and who else could have been the source of that information? Plus, she mysteriously stopped listing herself as a “minority” law professor just after Harvard hired her. Finally, she asserted that she had never claimed to be an American Indian. Strike three, as we know thanks to the the Washington Post today. 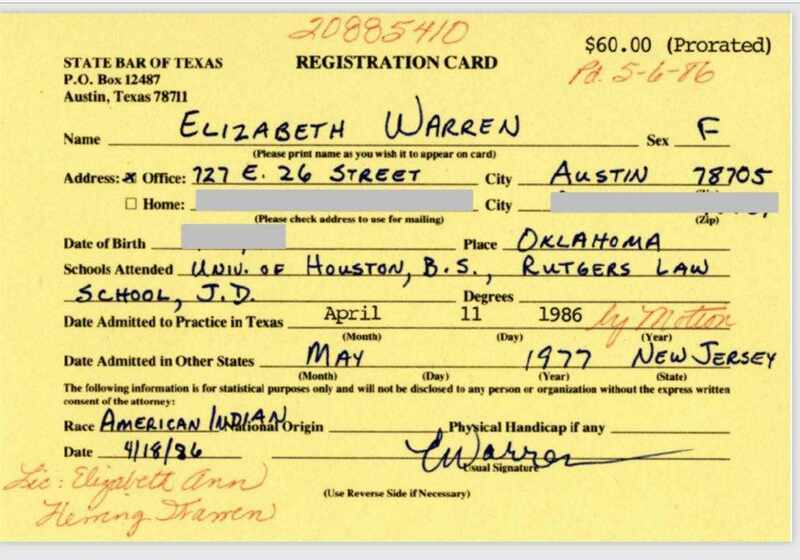 UPDATE: In fairness to Warren, I’ve seen many secondary sources stating that she never claimed to be an American Indian/Native American, but I nevertheless am not 100% sure she ever said that she’s never claimed to be an American Indian, as opposed to never claimed to be citizen of a tribe, or never claimed to be an Indian to help herself get a job. But you, like me, are probably having a hard time believing that she would put herself in the law school directory as a minority, and list herself as an American Indian on her bar registration card, but not let it be known to potential law school suitors that she was “woman of color” eligible for affirmative action.